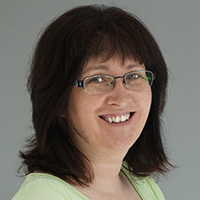 Lorna Williams currently works as an independent consultant in the chemicals and materials area and her consultancy company has a rolling contract to run the Secretariat for the British Adhesives & Sealants Association (BASA). Graduating from Brunel University in 1986 with a degree in Materials Science, after a short stint in research for Smith & Nephew, Lorna has been involved in the adhesives and sealants industry for the last 29 years working for Synthomer and then Eastman and has also been extremely active in UK, European and International standardisation taking a leading role in adhesives and sealants standardization at CEN and ISO level on behalf of the UK. Lorna represents BASA on the European Adhesives and Sealants Association (FEICA) European Technical Board, is Chair of the FEICA National Associations Forum and also sits on the FEICA Construction Technical Working Group. Lorna is also Secretary of the Alliance of Chemical Associations (ACA) in the UK. Smart CE marking is the link between the physical product and the Declaration of Performance (DoP). Manufacturers today can already provide the Declaration of Performance (DoP) information for their products in a digital way, but at present DoPs are only available as PDF documents and do not facilitate product traceability or provide a direct link to manufacturers; they are also not as compatible with Building Information Modelling (BIM). A CEN Workshop was initiated by the European association of construction product manufacturers, CPE (Construction Products Europe), to consolidate their work on a smart CE marking concept in the form of a CEN Workshop Agreement. FEICA has been actively involved in the project to develop this concept and to ensure the input from adhesives and sealants is taken into account. The finalisation of the CWA is an agreement for a common digital format to provide the requested information in a standardized way and thus to engage and invest in IT tools and concepts. When adopted by CEN TCs in their harmonised standards and by industry this digitisation of the Declaration of Performance (DoP) will be a trend setter for increased digitalisation of information in the construction industry and is actively encouraged and supported by the European Commission. On 7th June 2018 the European Committee for Standardisation (CEN) President, Mr Vincent Laflèche, together with Construction Products Europe President, Dr Heimo Scheuch, CEO of Wienerberger AG, co-signed the Statement of Achievement of the Smart CE Marking CEN Workshop Agreement. Lorna Williams, Chair of the FEICA Smart CE Marking Technical Task Force, will share how industry will benefit from this project and how CEN Technical Committees (TCs) and Construction Products Europe will now embark in the development of a product-specific approach to allow the optional use of Smart CE marking by manufacturers.